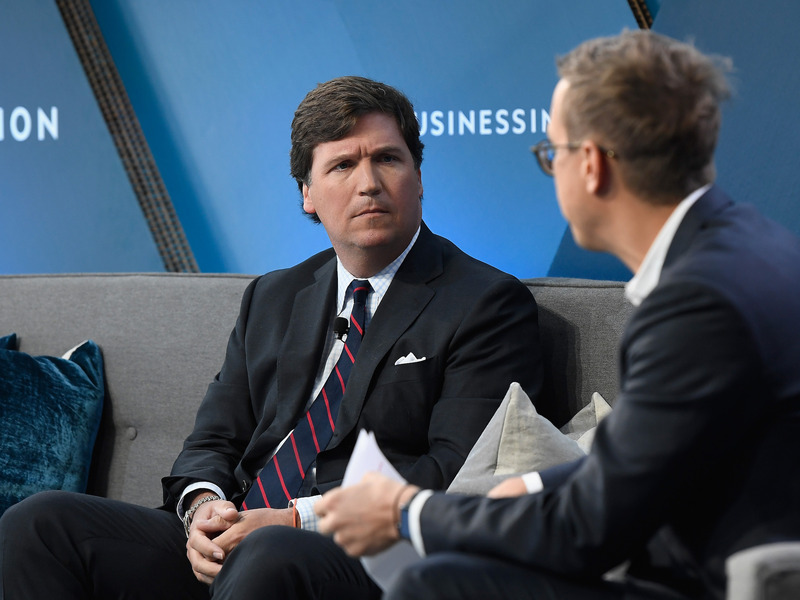 After the celebrity attorney Michael Avenatti accused Fox News host Tucker Carlson of assaulting a “gay Latino immigrant,” Carlson said in a statement to Business Insider that he never assaulted the man and that the individual verbally harassed his teenage daughter at a country club. In a video Avenatti included in his tweet claiming Carlson “assaulted” the man, the footage appears to show Carlson telling another man to “get the f–k out of here” while others seem to be trying to get Carlson and others in the room to calm down. The incident in question occurred last month at a country club in Virginia. In a video Avenatti attached to his tweet announcing his investigation, Carlson appears to be telling another man to “get the f–k out of here” while others seem to be trying to get Carlson and others in the room to calm down.